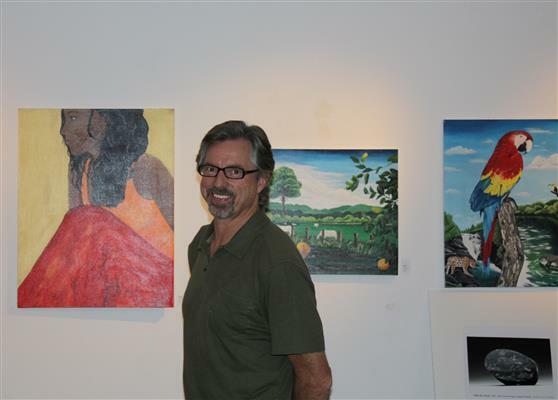 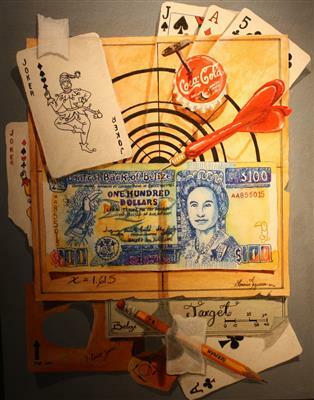 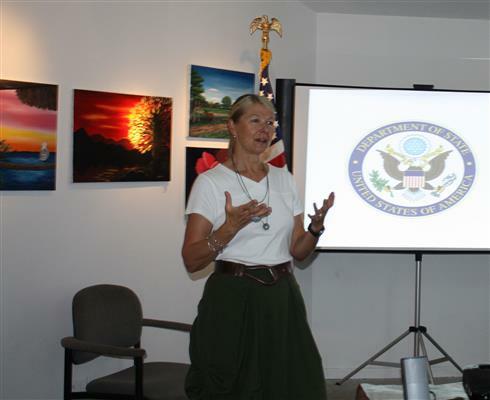 Art in Embassies artist Nancy Lovendahl visited Belize from November 12 -16, 2012. 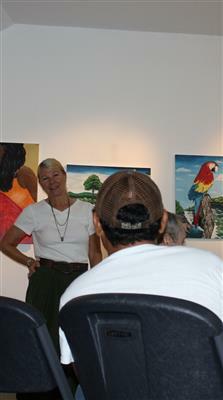 Art in Embassies artist Nancy Lovendahl visited Belize from November 12 -16, 2012. 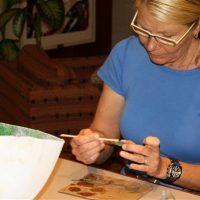 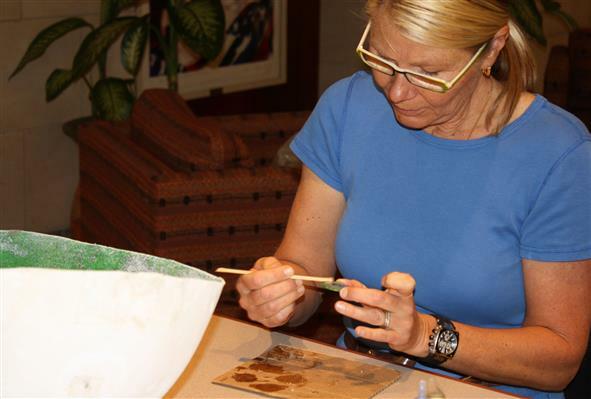 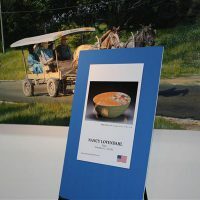 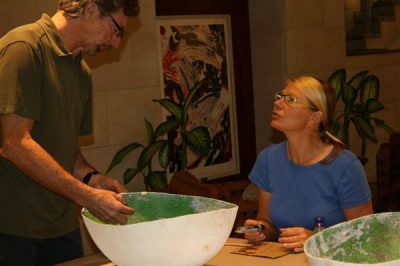 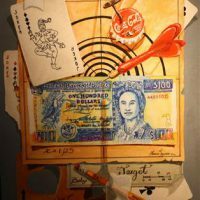 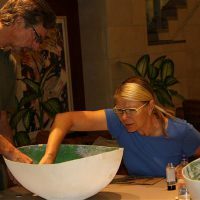 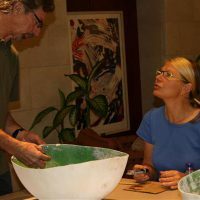 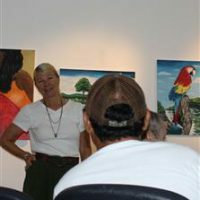 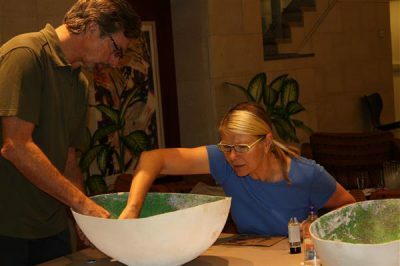 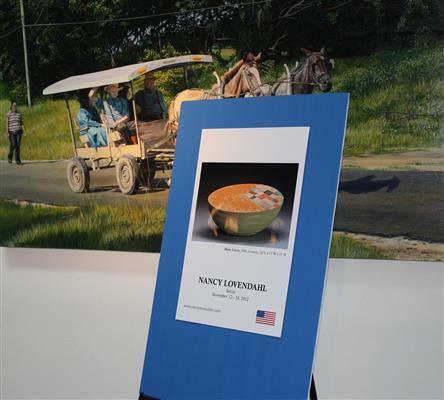 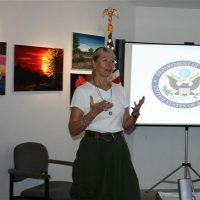 Nancy traveled to Belize to renovate the installation of several of her mixed media works on permanent display at the Embassy in Belmopan. 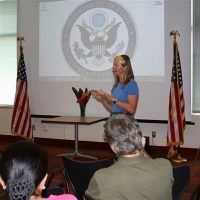 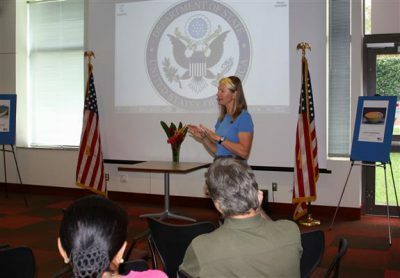 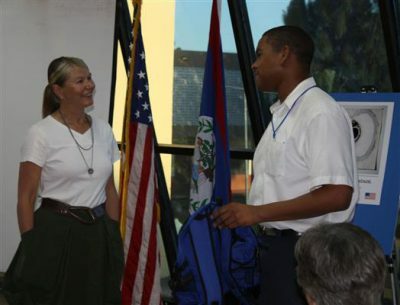 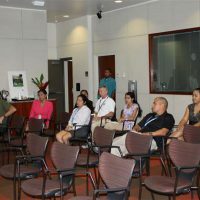 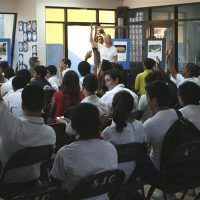 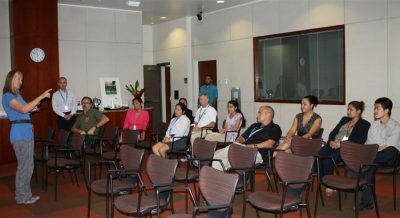 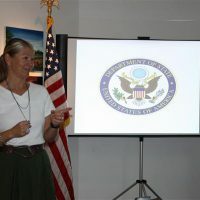 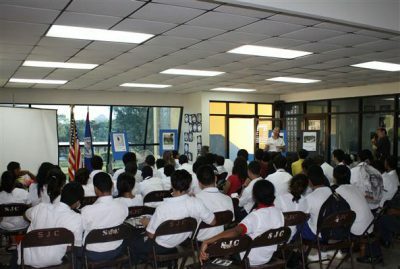 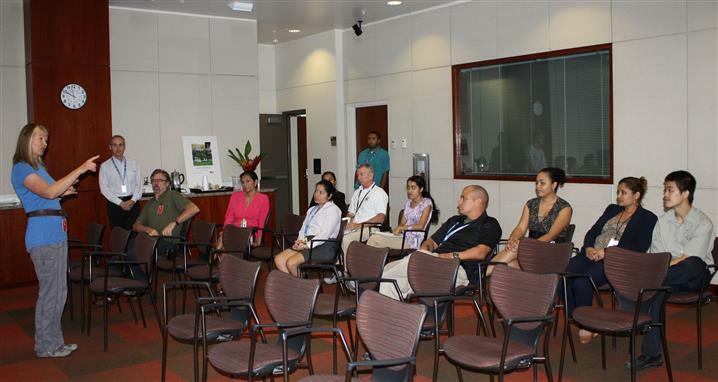 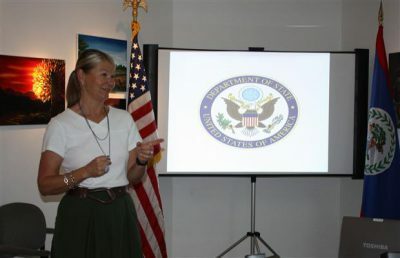 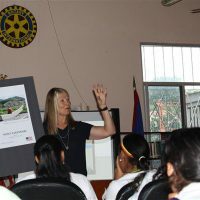 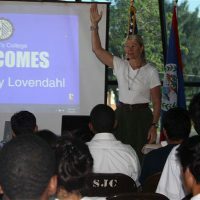 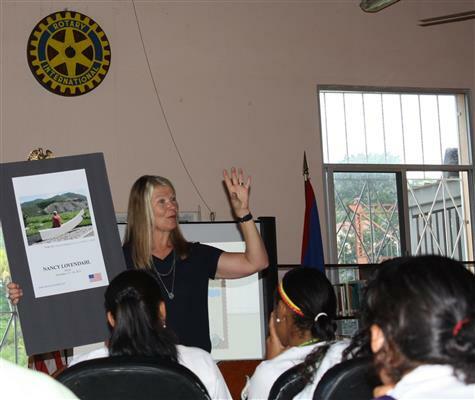 To maximize her visit, the Public Affairs Section of the U.S. Embassy organized several appearances and speaking engagements, inviting media to participate. 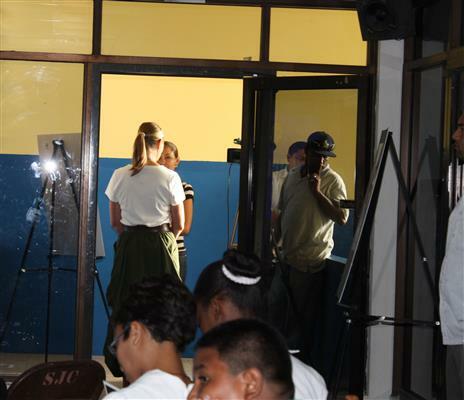 The events were well attended, well received, and received positive media coverage. 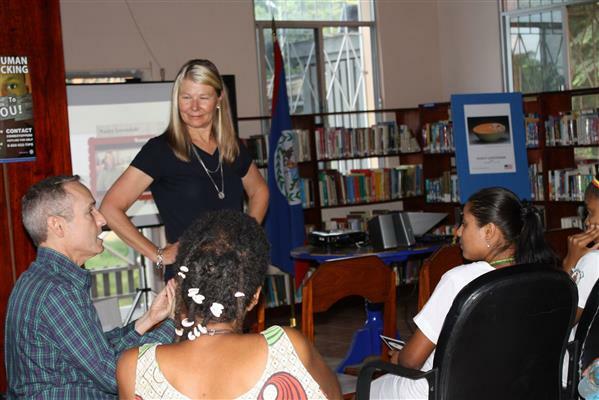 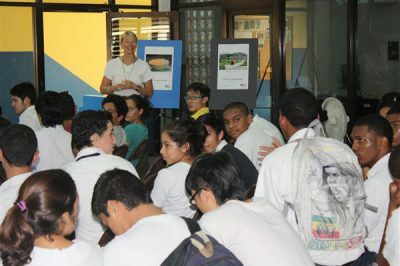 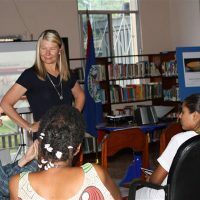 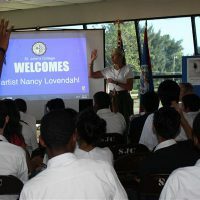 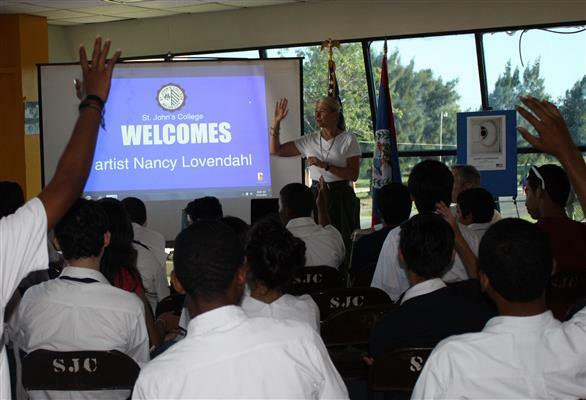 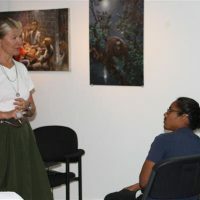 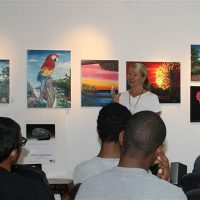 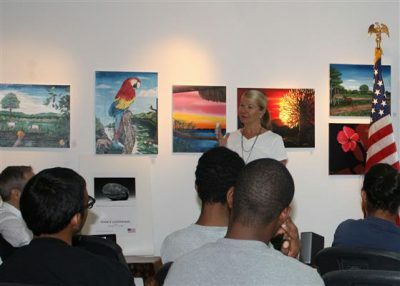 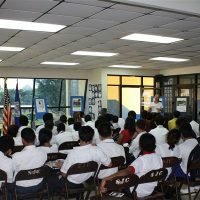 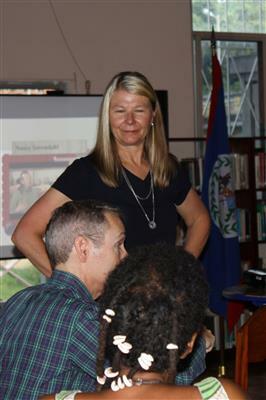 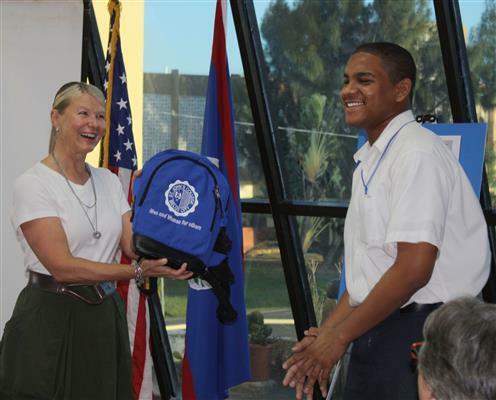 In addition to sharing with Embassy staff her artistic approach and preferred themes, Nancy also met with local artists and students so that they could discuss together the creative and commercial challenges faced by aspiring artists in Belize. 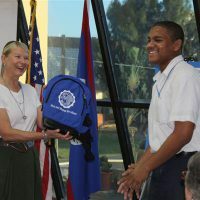 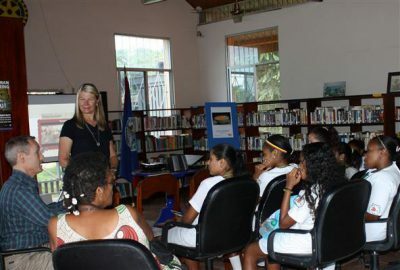 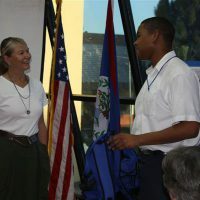 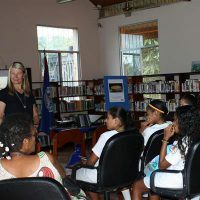 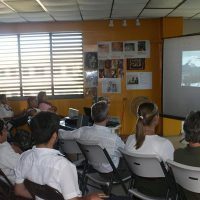 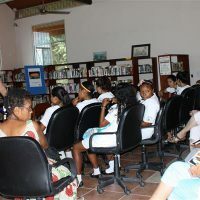 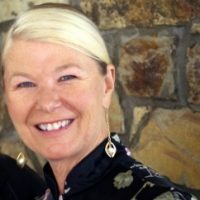 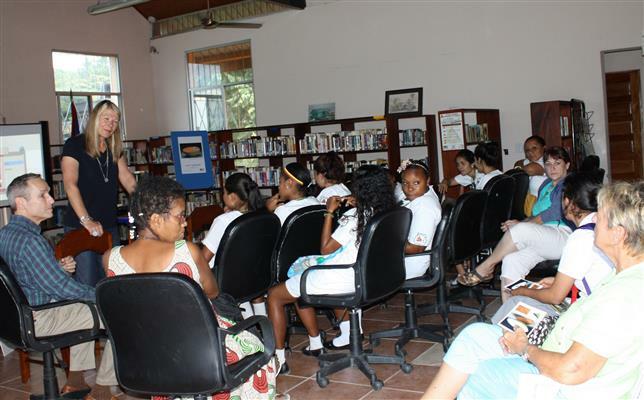 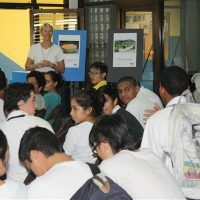 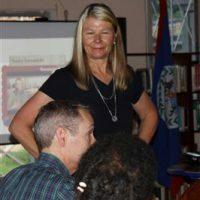 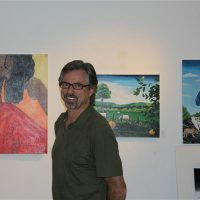 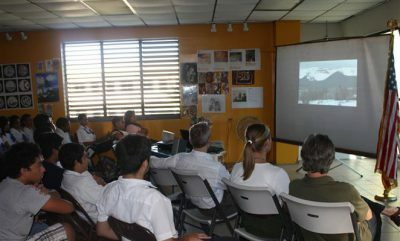 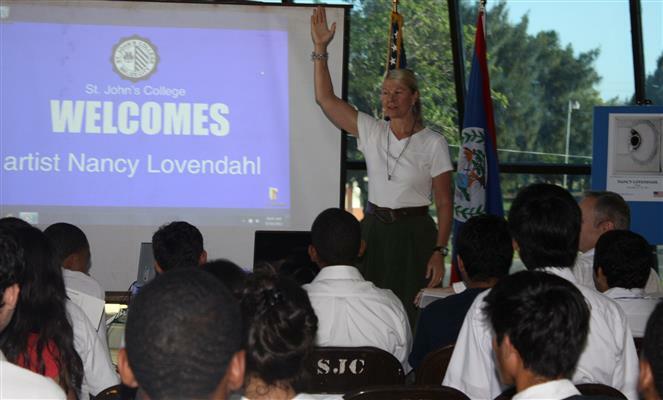 She engaged in spirited dialogue throughout the country: in Cayo, the San Ignacio Public Library; in Belize City, The Image Factory art gallery and St. John’s College High School.